WHO USES GREENWAY HEALTH EHR? Based on the suite of Healthcare IT solutions they offer, Greenway Health partners with over 10,000 organizations and 75,000 providers. Their customers range from small to mid-sized practices to larger enterprise organizations. 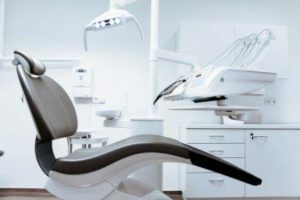 Dental practices also take advantage of Greenway’s Health solutions, with an Electronic Dental Record (EDR) called MediaDent. Available as a cloud based solution, MediaDent EDR is perfect for clinics with multiple offices and multiple users. As a full-service Healthcare IT company, Greenway Health offers a variety of features to position your practice for success. Additional services such as chronic care management services, clearinghouse services, and other professional training services. Lastly, Greenway Health EHR offers a Peer Referral Program where customers can earn credits towards training, consulting or other Greenway Health services for referring other providers. Yes, Greenway Health offers Intergy, a powerful Practice Management Solution that has the features and functionality designed for multi-site practices and other larger medical enterprises that require a solution to meet the necessities of today’s demanding healthcare challenges. From easily scheduling appointments to confirming insurance eligibility to streamlining billing, Greenway Health Intergy Practice Management solution is ideal for multiple office locations or even a single provider. With a focus on billing solutions, Greenway Health warns providers that “many vendors will promise to rework claims or decrease days in A/R, only for you to find out that they will only rework claims above a certain dollar amount, and then keep your money in a lockbox – invalidating their projected days in A/R.” This is definitely something to consider. As the complex healthcare reimbursement system for value-based and fee-for-service continues to require a high level of commitment from medical practices, Greenway Health helps make billing as seamless and efficient as possible. DOES GREENWAY HEALTH OFFER AN EHR FOR SPECIALTY PRACTICES? Servicing more than 30 specialties through its Prime Suite EHR solution, Greenway Health provides customizable features and templates to satisfy the documentation, billing and reporting that works best for your specialty practice. The support team has a first-touch approach to customer service. Greenway Health says 88% of customer calls are handled on first contact. Their support team is in-house and they do not outsource their calls, leading to a 98% customer support satisfaction rating. As far as training goes, Greenway Health offers a variety of paid options for implementation training and ongoing training. From the Unlimited Virtual Interactive Academy (VIA) that offers monthly access to all virtual training for a monthly fee to a full-blown custom training program, Greenway Health can fulfill your unique training needs. DOES GREENWAY HEALTH OFFER MARKETING SERVICES? Whether you need help building a website or managing your practice’s online presence for optimal results, there are plenty of integrated patient engagement and marketing services offered on Greenway Health’s Marketplace such as Dr. Leonardo and MarStudio Solutions. WHAT DOES GREENWAY HEALTH EHR TOUT AS THEIR VALUE PROPOSITION? Interoperability is a key value proposition for Greenway Health. They promote that they can help medical practices improve care delivery and financial performance through their interoperable solutions.